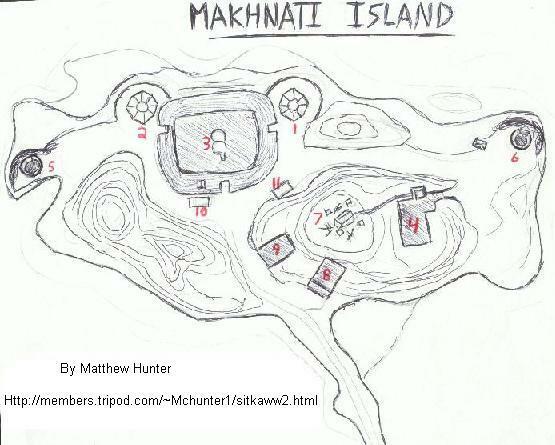 This is my hand drawn map of Makhnati Island at the end of the causeway. This island was Fort Rousseau, the headquarters of the Harbor Defenses of Sitka. The size of the gun bunkers is a bit exaggerated but the locations are accurate.